Does Your Child Seem Down, Discouraged and Withdrawn? Have you noticed a change in your child’s sleeping patterns, eating patterns, behaviors and attitudes? Does your child seem disinterested in the games, friends and activities that once brought him or her joy? Are your child’s grades slipping, or is it seeming like it is taking a lot more effort for your child to complete homework? Do you feel frustrated and confused by the change in your child? Do you wish you could connect with your child and help him or her feel motivated, have fun and be his or her old self again? If your child is suddenly acting more down, hopeless and irritable than he or she was before, you might be worried and wondering what is going on. Perhaps you encourage your child to communicate with you, but he or she snaps at you, withdraws more or says that he or she is fine. Maybe teachers have begun commenting on your child’s sudden lack of focus and falling grades, which baffles you because you know your child is smart and usually does well in school. Your child might be complaining of stomachaches or headaches, but the doctor says that nothing is physically wrong. Maybe your child seems utterly disinterested in anything and everything, even those things that he or she used to love. Your child might zone out in front of the TV or express boredom, but then act lethargic and unmotivated when presented with possible activities. Perhaps your child seems worried and sad. He or she may have even said things like “You wish I were dead” or “I hate myself.” You might feel frustrated and struggle to respond to such statements, though you keep trying to find ways to connect with your child and show him or her love and support. You may wish you could help your child feel happy again so that he or she can grow toward a fulfilling life. Childhood depression is a common issue that often goes overlooked. Children struggling with depression often go under the radar at school because they are not acting out or disrupting the class. Most people think of depression as being very sad or down, but increased irritability can be a major sign of depression in children. Often this is misunderstood or misinterpreted as the child being “difficult.” If you are concerned about a sudden change in your child and think it may be depression, you are not alone. It can be very hard to see your normally happy child be this miserable, and you may hope that it will just pass. You might think that your child’s irritability, sadness or disinterest in activities is a phase that he or she will grow out of. After all, many children feel sad about sad things but then get over it fairly quickly. In some children, however, that sadness gets stuck and leads to situational depression. Or, if there is a history of depression in your family, your child may be suffering from a chemical imbalance, which causes clinical depression. If this is the case, you may be worried that your child will suffer as perhaps you or other family members have with depression. Thankfully, it is possible to secure a good diagnosis so that you can help your child mitigate depression symptoms and learn to effectively cope with life’s challenges. If you child is experiencing a depressive episode, it is likely his or her first. One episode does not mean that your child has chronic or lifelong depression, but it is important to seek a diagnosis early in order to get your child the best possible help. Early intervention is key to helping your child learn effective skills to manage mood, and to hopefully prevent further episodes of depression. In childhood depression treatment, I can teach your child effective ways to manage emotions and cope with difficult feelings. These are tools that he or she can use for life. In sessions, I take a highly effective Cognitive Behavioral Therapy (CBT) approach. In addition, I will help your child develop better ways to ACT and THINK (each letter stands for a skill we will practice together). I can teach him or her to do healthful things, such as exercising, helping other people and participating in activities. While you may have already tried to convince your child to do these things, my therapeutic approach can help your child understand why it is important to ACT. I will also help your child develop the ability to notice and challenge negative thoughts. I will encourage him or her to THINK in a more flexible way so that he or she does not just accept the negative thoughts and feelings as the truth. I can also help you develop a greater understanding of your child and childhood depression. It is important to realize that your child is not willfully trying to be difficult, irritable or unmotivated. I can offer you support and guidance as you develop the skills needed to identify the beginnings of a depressive episode to prevent further problems before they begin. Through childhood depression treatment, you can get your son or daughter back. Your child can do better in school, enjoy life as a kid, and feel enthusiasm and hope again. Whether your child is experiencing an isolated depressive episode or clinical depression, he or she can develop important tools to live a happy and meaningful life. My family members struggle with depression, and I worry that my child will follow in their paths. If you have struggled with depression or watched your relatives as they entered hospitals or attempted self-harm, you may dread a depression diagnosis for your child. However, it is important to realize that one depressive episode does not necessarily indicate chronic depression. If your child is struggling with clinical depression, early intervention is key to helping him or her live a better life. 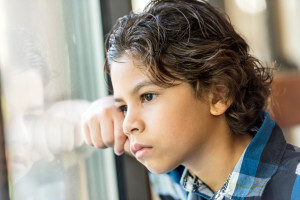 Whether this depression period is a single event or the sign of something more complicated, childhood depression treatment can help your child implement important coping skills and learn how to identify signs of depression before they take over. Your child is not destined to live any particular way. I am worried that my child will become addicted to medication. When I work with your child, I will try therapy before anything else. Although I have experience working with pediatricians to address depression, I rarely suggest medication as a first line of treatment for young children. CBT is highly effective in treating depression, but if your child’s depressive episodes keep coming back, we can talk about medication as an option. I will give you the information you need to make the best choice for your child and if you eventually decide to try medication, I will work with your child’s doctor to help monitor your child’s well-being. We don’t need childhood depression treatment. My child just needs to snap out of it. A thorough evaluation can help determine whether or not your child’s changes in mood and behavior are a reaction to an event, a temporary response, or clinical depression. I will adjust my treatment methods to your child’s specific needs. Even if your child is not clinically depressed, he or she may be struggling to adjust to changing events and emotions, and brief therapy can help your child develop important coping skills for life. If you want to help your child enjoy being a kid, I invite you to call (808) 747 3445 for a free 15-20-minute phone consultation. I’m happy to answer any questions you have about childhood depression treatment and my practice.